Is Multi Needle Machine Good For Your Embroidery Business Let S Find Out - Trishtha Industries Pvt. Ltd.
Is Multi-Needle Machine Good for Your Embroidery Business? Let’s Find Out! Are you serious about your embroidery business? If your answer is in the affirmative, then going from a single-needle to a multi-needle machine is only, but natural. It raises the bar for seasoned business owners and also home-based entrepreneurs. 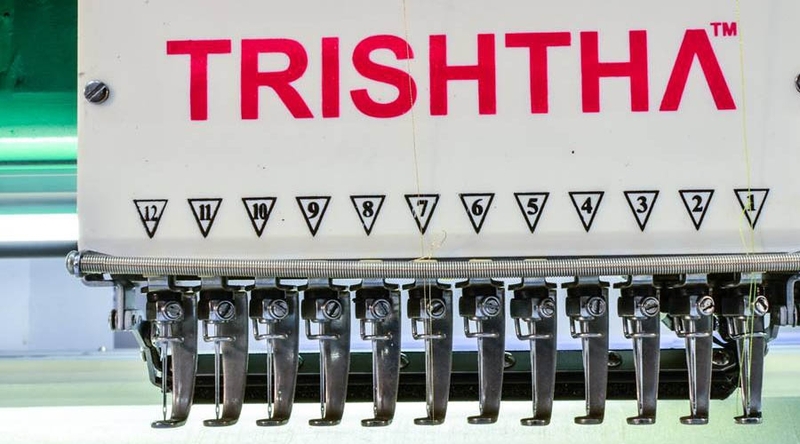 At Trishtha, we deliver 6 needle embroidery machine to anybody looking to enhance their embroidery capabilities and have more fun embroidering. The primary reason why businesses prefer our multi-needle machines are because each needle is able to hold its own thread color. This way, you will be able to create colorful and attractive appliqués without having to change the color of the thread every time. The scope for experimenting with multicolor designs expands with our multi-needle computerized embroidery machine. You will be able to create any design that you like a lot faster and with a lot more accuracy. Since you do not have to interrupt your flow when you’re implementing a new technique, the designs are going to automatically come out better. The more attention-grabbing is your embroidery work, the more business you will get! If you had to open the seams or the pocket to embroider before, you no longer have to do so with our 6 needle embroidery machine. With our cutting-edge machines, you will be able to embroider both the back and the front of the clothing materials simultaneously. So, there is no need to wait or think anymore. Take your embroidery business to great new heights with our multi-needle computerized machines. Our machines come with a one year warranty and if you wish to know the price, get in touch.